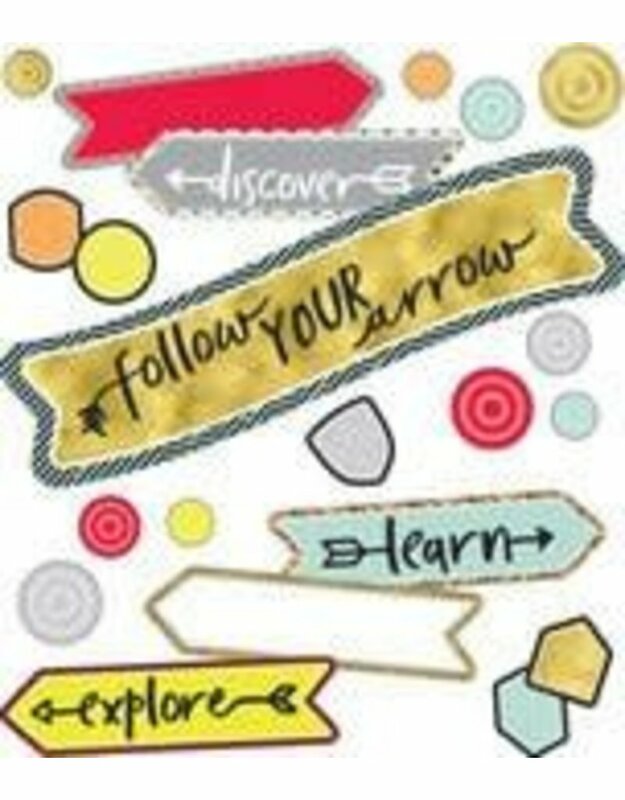 The Aim High Follow Your Arrow mini bulletin board set includes:-1 header-16 arrows (8 inspirational, 8 blank)-22 targets (7 large, 7 medium, 8 small)-32 student pieces-1 resource guideShowcase your students’ work in style with this 71-piece set! --Add a visual component to small areas such as doors, learning centers, and windows with Carson-Dellosa’s mini bulletin board sets. Make sure to view coordinating Aim High products to create a unique and unified classroom theme.